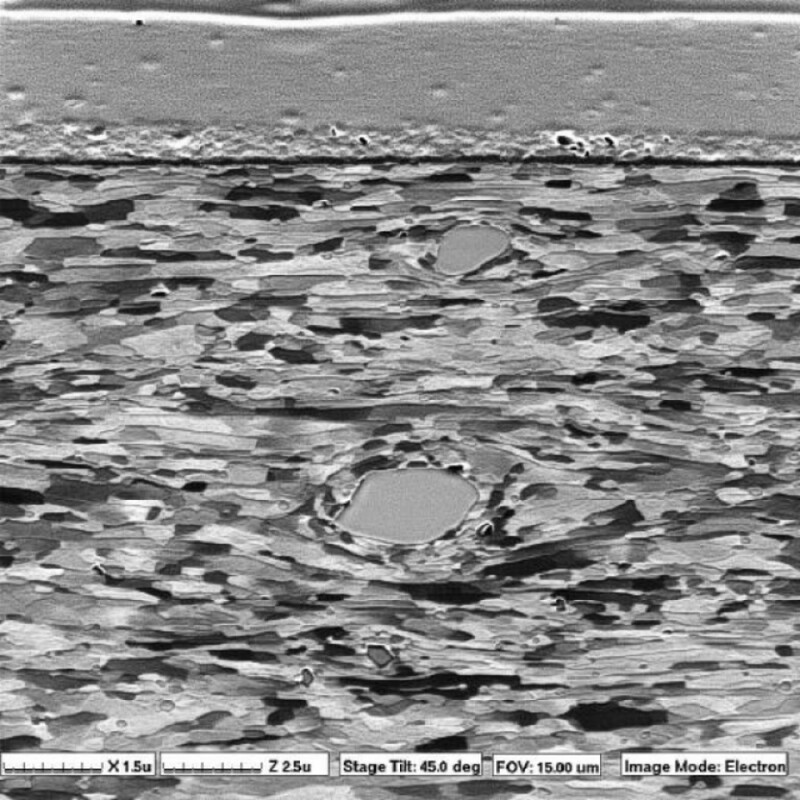 Figure 1:Cross-section of a aluminum beverage can. This FIB image shows a FIB cross-section into an aluminum beverage can, tilted to 45 degrees and imaged in the FIB in secondary electron mode. The polymer label on top of the aluminum is clearly visible, and manganese silicate particles can be seen amid the aluminum grain orientation contrast.